OAK RIDGE, Tenn., Nov. 10, 2016--Leaders in hybrid accelerated high-performance computing (HPC) in the United States (U.S.), Japan, and Switzerland have signed a memorandum of understanding (MOU) establishing an international institute dedicated to common goals, the sharing of HPC expertise, and forward-thinking evaluation of computing architecture. The MOU authorizes the creation of the Accelerated Data Analytics and Computing (ADAC) institute to support collaborative projects and programs that bridge the respective HPC missions of the U.S. Department of Energy's (DOE) Oak Ridge National Laboratory (ORNL), the Tokyo Institute of Technology (Tokyo Tech), and the Swiss Federal Institute of Technology, Zurich (ETH Zurich). All three organizations manage HPC centers that run large, GPU-accelerated supercomputers and provide key HPC capabilities to academia, government, and industry to solve many of the world's most complex and pressing scientific problems. "Forecasting the future of leadership-class computing and managing the risk of architectural change is a shared interest among ORNL, Tokyo Tech, and ETH Zurich," said Jeff Nichols, associate laboratory director of computing and computational sciences at ORNL. "What unites our three organizations is a willingness to embrace change, actively partner with HPC vendors, and devise solutions that advance the work of our scientific users. ADAC provides a framework for member organizations to pursue mutual interests such as accelerated node architectures as computing moves toward the exascale era and beyond." The institute lays the groundwork for more focused collaboration centered around three inaugural technical areas--applications, performance, and resource management. Designated representatives from each member institution serve as the leads in these areas. "ADAC is unique in that while all of these research centers compete on some level, the challenges we face are very similar. From application development to fully utilizing novel architectures, we can better evolve toward the exascale by sharing our problems and solutions," said Satoshi Matsuoka of the Global Scientific Information and Computing Center at Tokyo Tech, adding that the initial three-member collaboration could grow to include other institutions in the future. Thomas Schulthess, of the Swiss National Supercomputing Center (CSCS) at ETH Zurich, echoed Nichols' and Satoshi's sentiment: "ADAC is an acknowledgement that, despite the myriad accomplishments in accelerated computing, significant challenges remain. These challenges require collaboration across the HPC spectrum in order for our users to continue to push the frontiers of science, and, by extension, computing." UT-Battelle manages ORNL for the DOE's Office of Science. The Office of Science is the single largest supporter of basic research in the physical sciences in the U.S., and is working to address some of the most pressing challenges of our time. For more information, please visit http://science.energy.gov/. 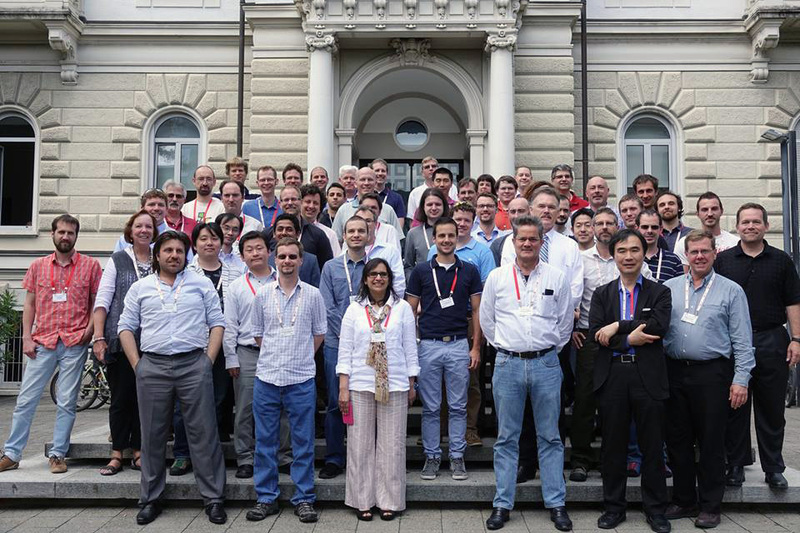 Caption: ADAC members from ORNL, ETH Zurich and Tokyo Tech gathered in Lugano, Switzerland for a workshop earlier this year.